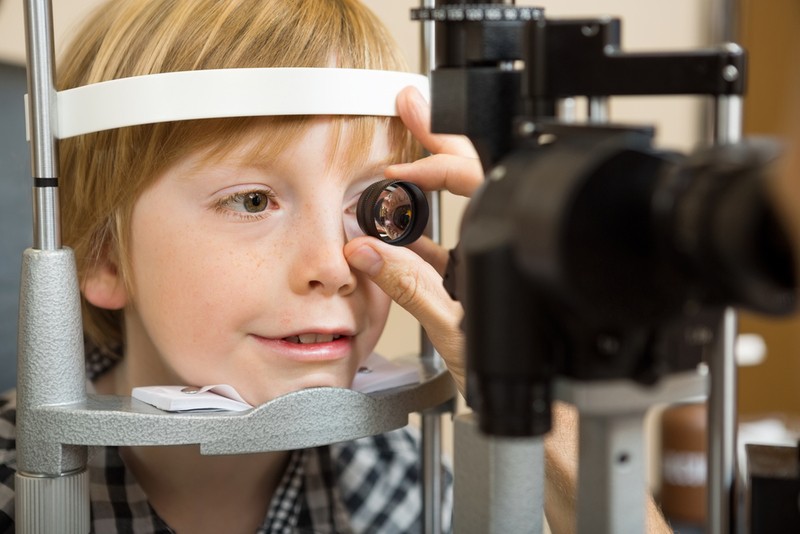 Since 1994, Dr. Ted Brink and Associates has been a leading Primary Eye Care Practice in Northeast Florida. Our primary function is the evaluation, diagnosis and treatment of ocular health issues or visual disorders. We care deeply about the communities we serve and are invested in your care. 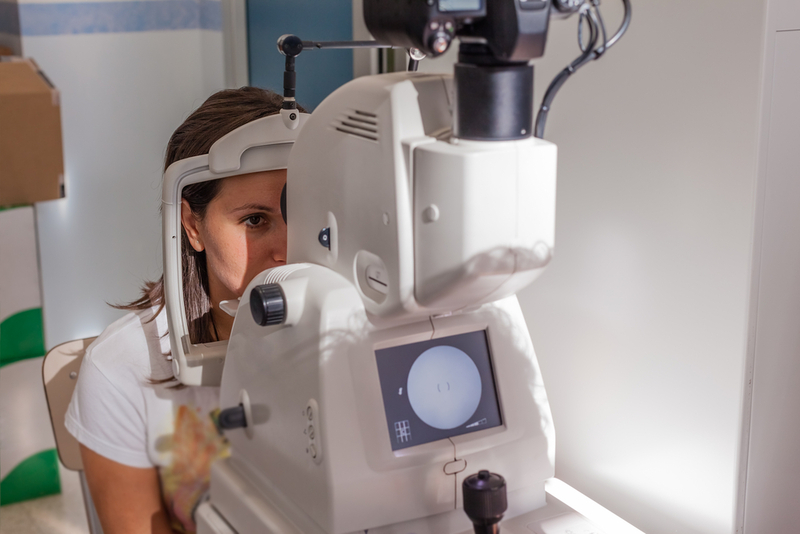 In the offices, we use state of the art equipment to assist the doctors with the diagnosis and treatment of your ocular health. We also invest in training and continuing education for our clinic staff, doctors and the Optometric Community. Our doctors are on the cutting edge of new procedures and they continually seek to fit the most advanced contact lenses the industry has to offer. Convenient same day appointments, night and weekend hours assure you’ll get the care you need when you need it. If you, your family, neighbors or friends need to update your eyeglass prescriptions, need new contact lenses or have a more severe ocular health issue, we hope that you will CHOOSE DR. TED BRINK and ASSOCIATES FIRST. Ensure we have correct demographic information such as current address, telephone numbers and medical or vision insurance coverage. Typical diagnoses for routine exams may include farsightedness, nearsightedness, astigmatism, and presbyopia. At the end of the exam the doctor will discuss his or her findings with you and let you know how to proceed. 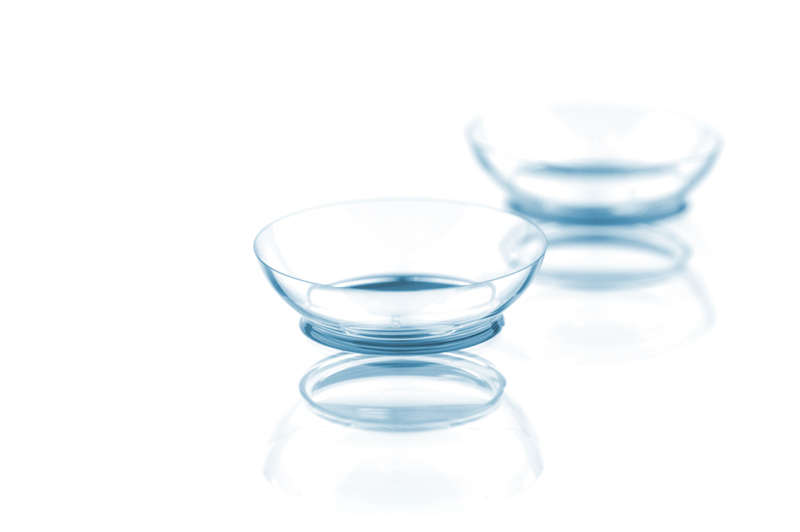 With today’s advances in technology, more and more patients are turning to contact lens use. If you have an astigmatism, need bifocals or have more complicated visual conditions, we likely have a contact lens that will work for you and your busy lifestyle. All contact lens fittings start with a routine eye exam. Then, our doctors perform several additional tests to determine if you are a good candidate for contact lens use. Contributing factors include but are not limited to cornea and lid health, tear evaluations and lifestyle. Once the doctor has determined your eyes are healthy and you are a good candidate for contacts, sample lenses are fitted to ensure proper movement, comfort and vision. Care and handling instructions, including wearing schedules, are reviewed and recommended. Contact lens solution samples are given for proper cleaning and storage of your contacts. Follow-up care for many contact lens patients is extremely important. If indicated by the doctor, returning to the office for follow-up care ensures you’ll have crisp vision and comfortable contacts. Your eye health is important to us and yearly contact lens fittings and exams are needed to ensure that your eyes remain healthy. Improper or misuse of contact lenses can lead to severe corneal damage including scaring or blindness. We always recommend a quality pair of glasses to allow your eyes to rest between contact lens uses. Medical office visits often start out like a routine exam. In fact, much of the same equipment and testing used during a routine exam is used to diagnose a medical condition. Your medical history, symptoms, complaints and the doctor’s diagnosis determine if your exam is routine or medical in nature. Typical diagnoses found may include but are not limited to conjunctivitis, glaucoma, cataracts, macular degeneration, diabetic retinopathy, dry eyes and allergies. Sometimes additional tests and screenings are needed to rule out or rule in a diagnosis. What is the difference between my Vision Plans and Medical Insurance? 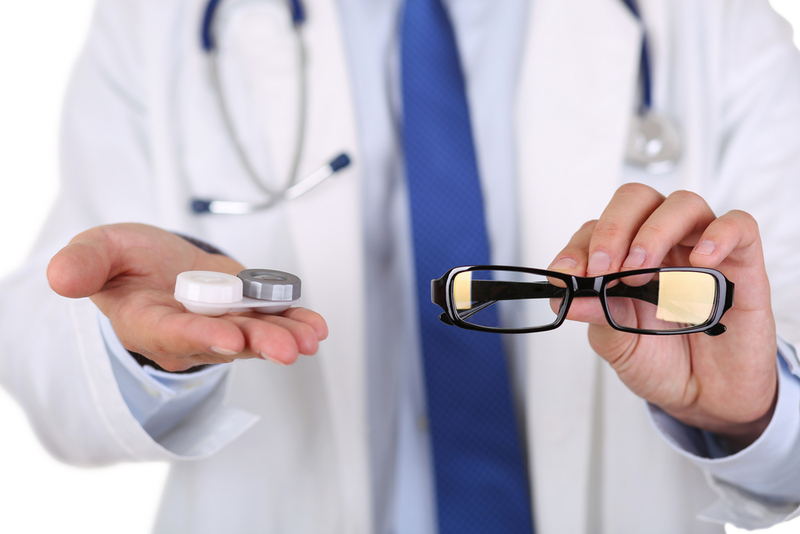 Our offices understand today’s healthcare system can be confusing and we know insurance for eye care is no different. We are here to help you navigate the complexities of your insurance plans. Our doctors are credentialed with many vision and medical insurance companies to ensure that under our care you’ll have the peace of mind that no matter your ocular health needs, we will be able to provide you with a continuation of care. Confusing as it is, the best way to explain Vision and Medical insurance boils down to this: medical history, symptoms, complaints and the doctor’s diagnosis will determine which insurance plan we are able to apply to your exam. Vision Plans are used to cover or offset the cost of routine eye exams, contact lens fittings and the prescription for eyeglasses. They do not cover the diagnosis or treatment of ocular health issues such as “pink eye”, trauma, foreign body removal, or dry eye. Some common plans include Eyemed, VSP and Compbenefits. Medical insurance may need to be used if a patient presents chief complaints or symptoms such as but not limited to, pain, red, itchy or watery eyes. Additionally your health history may play a factor in whether you medical insurance is used. Examples include a previous diagnosis of glaucoma, cataracts, macular degeneration, diabetes and corneal abnormalities. These examples and many more may mean you must use your medical insurance to cover your examination. Co-pays, co insurance and deductibles may mean you pay a different amount (more or less) than your routine vision plan copays. We will do our best to estimate your expense prior to your exam, but it is to your benefit to be aware of possible deductibles, co-pays and co-insurance required by both your vision plan and medical insurance.